In this 1/2 hour interview with Steve Baer on KRZA community radio recorded on December 21st, 2011 Naomi tells the story of her development as a healer and offers some tools you can use in your everyday life to assist you in finding ease and joy. 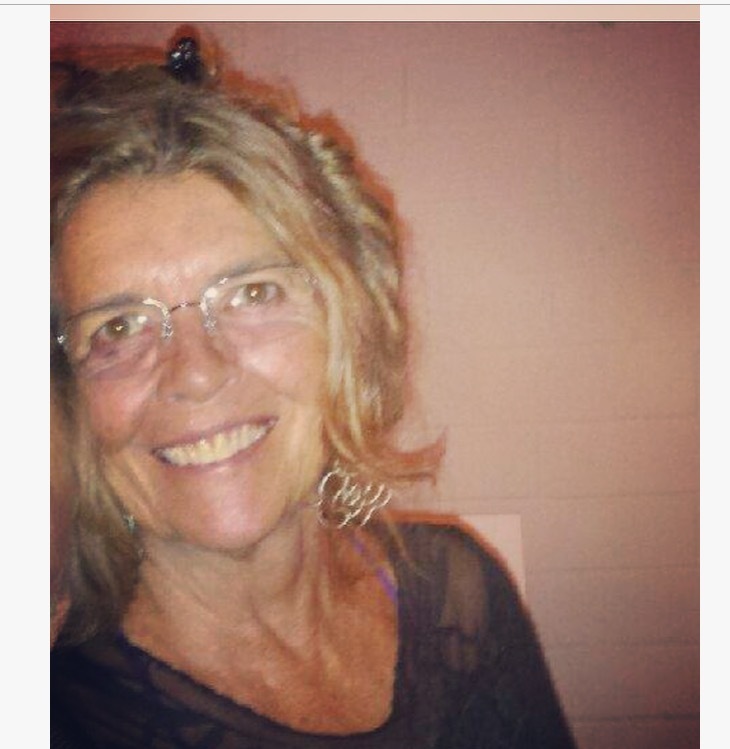 Naomi Lake, founder and director of Full Circle, is an energy healer in practice for over 35 years. Since birth, she was able to retain her capacity to see the aura (human energy field) and use it as a diagnostic and therapeutic tool in her healing work. In her work she balances the body, mind and spirit, reducing stress and strengthening the body’s inherent capacity for well-being. Naomi Lake holds a degree in Anthropology, having focused her research on cross-cultural healing. In private practice, she has helped people understand the sources of their dis-ease or emotional problems and is available by appointment for one-on-one sessions at her home office in Avondale, Arizona in the Phoenix area or by telephone. (see Remote Consultations). She has taught health care practitioners to see and work with the energy field in specific ways at Harvard Medical School, for the American Holistic Nurses Association and in health clinics in Mexico, England and throughout the USA. Naomi Lake has been asked to be a spiritual guide on tours to Egypt, England, Peru and Mexico to assist others in fanning the spark of recognition and remembrance that these sacred sites often bring forth, deepening awareness multi-dimensionally. With her (relative) fluency in Spanish, she has developed a rich practice in Mexico City . . . working with individuals and groups there. (see Lectures & Seminars). One of Naomi's passions is exploring how healers and shamans affect change on physical, emotional and spiritual levels. She has traveled to the jungles of Mexico and Peru to study and work with shamans there. Her study of Anthropology led her into the study of Shamanism . . . particularly Amazonian Shamanism. In the jungles of the Amazon she worked with shamans and became initiated in the ritual use of the sacred visionary medicinal plant called Ayahuasca. This plant has been used for thousands of years by the curanderos, medicine people and shamans in various tribes of the Amazon in order to divine a food source or to access the wisdom and medicinal qualities that other plants indigenous to the area provide to help a sick community member. In that first ceremony in the Peruvian Amazon, Naomi's vision was fine tuned to be able to see the complex intricacies of the web . . . the bridging network that connects each one of us to the Divine. For years she organized groups of healers and consciousness seekers, bringing them to Peru to work with the sacred visionary plant Ayahuasca and the shaman/healers there. Naomi's many experiences include working with children and their families at Boston Children’s Hospital and participating in Physicians Groups. She has contributed her energy field drawings and analysis to a Dolphin research program in Mexico that works with neurologically impaired children. Naomi has offered her services as a Hospice volunteer and run educational programs for AIDS support groups. She acts as a consultant to medical doctors, psychologists and psychiatrists. As an adjunct professor for Antioch College and Prescott College she has mentored many students. She currently is on the faculty of the University of Metaphysical Studies in Santa Fe, New Mexico. The experience of being a single parent in the raising of her three sons contributes greatly to the compassion, strength and patience she manifests. She is a proud grandmother of 5 . . . soon to be 6 . . . VERY beautiful and special grandchildren. Naomi’s healing work integrates her years in Esoteric Healing and Shamanic Apprenticeship with the cutting edge technology of the LIFE System. She is a sales representative of the LIFE System and a certified trainer. Naomi strives to reintegrate principles of vibrational medicine with those of Western Orthodox medicine to educate, remind and empower people to work with their own energy to heal themselves. Click here to read more about Naomi Lake. People are going back and forth across the doorsill where two worlds touch.